A diagnosis of kidney disease doesn’t have to mean hours spent every week in a clinical hospital setting. At our renal facility in Louisville, you can receive the specialized care you need in a comfortable environment with comprehensive support services. 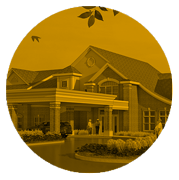 Located in Louisville, Sam Swope Care Center offers customized therapies for those needing outpatient, short- or long-term care.